Andrew, a current customer of BsnTech, reached out to us just before the new year asking to get another website created for his practice. He was looking to have us create a website based on our starter website package. Since he has been a customer for a while, we also included an additional web page at no extra cost. The website was created in just a few days and it is now live! 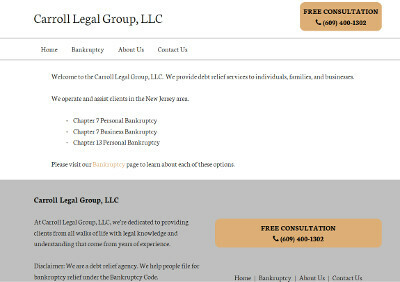 The address for the site is at carrolllegalgroup.com.